1. 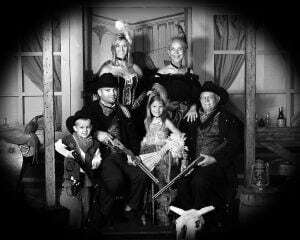 They have largest old time photo studio in Tennessee. Four Sisters Old Time Photos is the largest old time photo studio location in Tennessee and likely even the largest in the United States. They have collected hundreds of authentic props and costumes from all over the world so you have the best selection to choose from. 2. Over 30 years of photography experience. capture the best moments while still giving you a fun experience. Each of our photographers is extremely professional. They are each trained on old time photos, so you receive the most quality photos during your visit. They will show you the best ways to pose and place you in the set so your photos will turn out great! 3. They have nearly a dozen movie-like sets. They have put together a variety of sets and backgrounds so you can have a different experience every time you vacation to Pigeon Forge. There’s so many to choose from, including a wild west saloon, a scene of the roaring 20s, goofy hillbillies and more! You’ll be able to dress up as characters from the era you choose, too. They have it all – sheriffs from the old west, saloon girls, southern belles, hillbillies and indians and many others! You won’t want to miss out on all of the fun of dressing up and taking a step back in time to your favorite old time era. 4. Large groups are welcome! Pets, too! Four Sisters welcomes groups of all sizes and pets, too! The photographers are trained for photos of individuals, small groups and groups up to 200 people! They are familiar with working with your pets, so bring them along for photos, too! 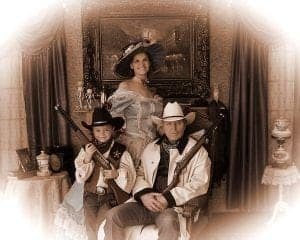 Old time photos in Pigeon Forge are great for families, children, honeymoons, family reunions, anniversaries and more. 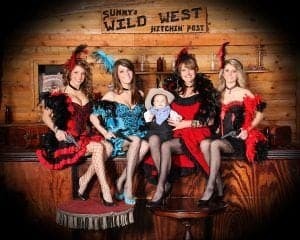 For more details about visiting Four Sisters Old Time Photos, click here to visit their website. Four Sisters cares about their customers and you can expect to receive the best customer service. From the photographer to any of the staff who are helping you choose costumes and pictures your favorite images, customer service is a priority. Many people ask how long to expect the photo experience to last. Generally, our guests spend somewhere between an hour or two with us, depending on the time it takes to decide on costumes and backdrops, costume changing times and having pictures taken. If you have a large group or small children, it may take a little extra time to get everyone dressed and posed for photos. No appointments are necessary, but you can book an appointment time if you want to make sure not to spend time waiting or if you are bringing a large group. We know you’ll love the pictures you receive from Four Sisters Old Time Photos so we hope you’ll visit during your vacation. 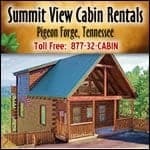 When you’re planning your getaway, click here for more fun things to do in Pigeon Forge.